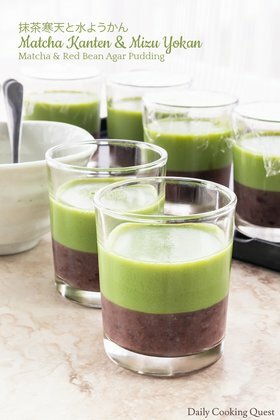 Place red bean paste and 500 ml water in a blender and process until smooth. Strain this red bean paste liquid so the yokan will be smooth. Add enough of the (*) water to get a total of 900 ml of red bean paste liquid. 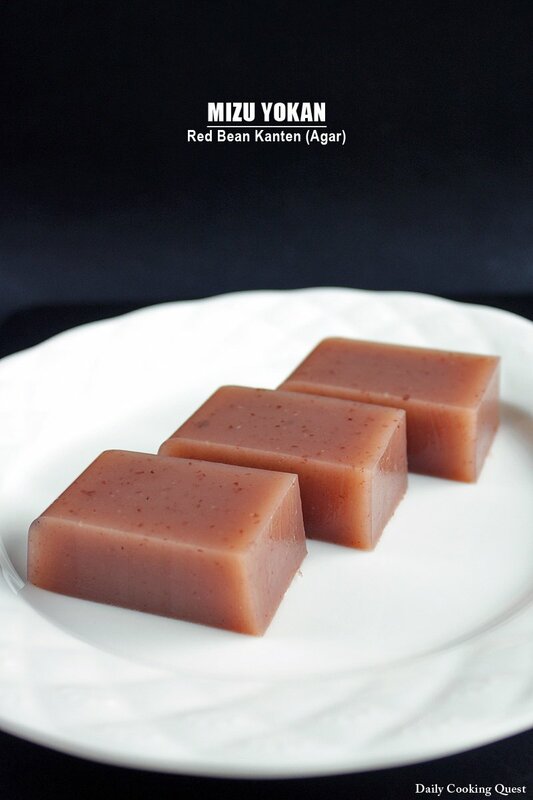 In a pot, boil together red bean paste liquid, sugar, and the agar-agar and jelly powder. Strain into a baking pan or any pretty mold(s) that you have. Let the yokan set at room temperature. Once it sets, chill for 2 hours in a fridge. Serve cold. 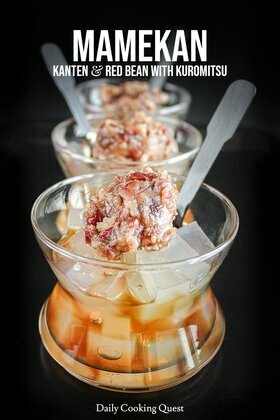 Lovin red bean all the way, my mom used to made es kacang merah but never made a pudding with it, sounds yummy and delicacy!!! Oh man, I used to make this all the time; then I moved to a town where I can't get the agar. I miss it. 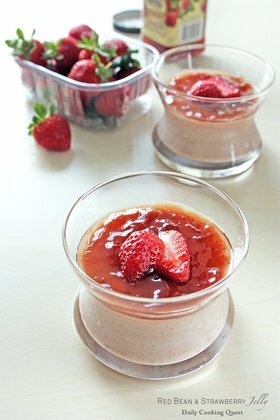 You can use any form of gelatin, so you can still make it :) unless you are vegan of course. But you should be able to find them in Chinese supermarkets though. 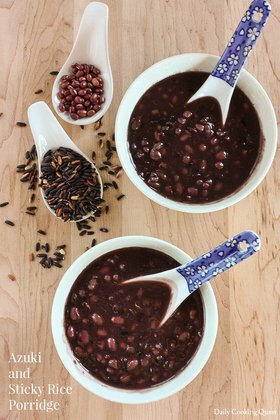 I have seen a lot of recipes for this that always call for the smooth bean paste with no chunks, but I can't buy that anywhere and certainly won't make it. Can you just use the normal paste with chunks? Yes Emy, it just will not be smooth :) Or, you can puree the chunky paste first with a blender or food processor to get a smooth paste. Hi. Im thinking to make it tomorrow but Im confuse is it 10g of agar agar powder and 10g of jelly powder i need or agar agar and jelly powder are 1 type? Hi Sue, this kristal agar 10 gram pack is what I mean. If you can only find the more common agar-agar powder 7 gram pack, you may need to use 1 1/2 packet for the yokan to set properly.